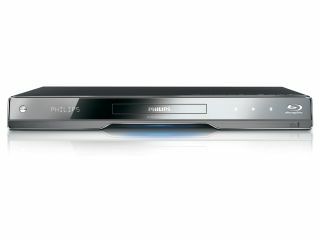 Philips has unveiled its latest Blu-ray player, with Profile 2.0 capabilities – the BDP7500. Delivering 1080p 24fps Full HD images, with support for 7.1 lossless formats Dolby TrueHD and DTS-HD Master Audio, the player has all the trappings of a high-end machine but it comes with pricing that's more than affordable – just £249. Design-wise, the BDP7500 is an impressive-looking machine. It's made from aluminium, mixes a blue hue in with the black and the buttons are touch-sensitive and illuminated. And when it comes to playback most digital formats are catered for, including DivX Ultra, H.264, VC-1, JPEG and MP3. There's also a USB hub on the front which is more than handy. As it's BD-Live, the player has 1GB of internal storage so you can access all the Profile 2.0 content you want without worrying about the need for external storage. The BDP7500 is available now, go to www.philips.co.uk for more details.